I LOVE waking up early. It has got to be one of the best feelings to be up before the sun. The day hasn’t started, I’m up before the majority, I feel productive, and I have more ‘me time.’ I started waking up early in the last two years and even though there have been periods where I haven’t been able to stay consistent due to working late or a variety of circumstances, I for the most part have found a consistent groove. Depending on if I am able to get into bed by 9:30 or 10:00 I wake up between 4:00 – 4:30. Like I said, there have been periods in my life where it has varied — for example, I was waking up at 5:00 for quite a while cause I wasn’t able to get to bed until 10:30 consistently. I’ve become so addicted to the feeling that if I wake up even only 15 minutes late I feel like I’ve lost an hour of productivity. Even though I’m groggy, sore, and exhausted when my alarm goes off, I know that I will later regret not responding with getting out of bed right away. Has it gotten easier? Absolutely. Is it easy every time? Never. I know that in my life the benefits outweigh the costs – not getting near as much done, feeling rushed, no time for personal development, and no quiet time. Waking up early has been an awesome discipline to add to my tool belt. Not only has it made my mind stronger when it comes to staying disciplined in my life, it has also helped me develop myself in other areas. I try to focus on reading and studying in the early morning, learning everything I can about what I want to accomplish and what I am passionate about. This discipline has helped me develop other disciplines such as goal setting, affirmations, reading, working out, and preparing for the day. To me it’s all about preparation. Not only for the day but for the rest of my life – short term and long term. Waking up early ensures that I am able to prepare. Have a goal and a plan. Write out why you are wanting to wake up early. Also, know exactly what you are going to be doing when you wake up. Schedule it out and stick to it. If you want to adjust the plan and schedule for the next day then do so, but not having anything planned will make you bored. Put the phone across the room. Most of use our phone as an alarm so just plug it into the charger across the room so you have to get up to turn off the alarm. All that is required next is making sure you don’t get back into the bed. Wash your face with cold water. Splash your face a couple of times and it will wake you right up. Read something. I wouldn’t recommend starting on work or leaving the house for a run right away. Read something in a well-lit area that will stimulate your brain and help you become more motivated – study your passion. Those are the tips that really helped me get started waking up early. One of the best ways to learn how to wake up early and be inspired to do it day-in and day-out is to read “The Miracle Morning” by Hal Elrod. I read this book while I was in high school and it totally transformed my view towards the morning time. The link for ‘The Miracle Morning’ is down below. It also provides a lot of great tips for waking up early and goes even further in depth in regards to the benefits. The book gets 5 stars from me. And Winston Churchill of course. He would wake up and work from his bed. His staff had to be up that early too though. I do this as well. I totally understand about being grumpy if I sleep past five. I hate losing my writing hour! Thanks for sharing Cecilila! I completely forgot to add him into the list. Churhill is a great example of leadership. The morning is amazing for writing. Very few distractions. I appreciate your enthusiasm … but why do you need to “sell” it to others? I totally agree with you. Waking up early before the majority of the world is up does make me feel so happy and productive and refreshed. And for some reason, it feels like time actually passes much slower in the mornings, there isn’t that feeling of rushing! If you don’t mind, I’d really appreciate it if you could check out my blog, http://wisterielle.com/. 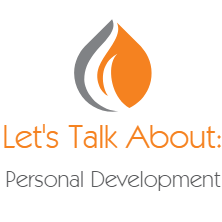 I write about similar things like this, that links to personal development and self-care. Thank you so much for sharing your thoughts on waking up early. I needed to read something like this. I did like all the five tips you shared to wake up early. I believe that reading and exercising after waking up are great options to start your day. Thanks for sharing. Have a good day!